Aiming to enlarge its current modern classic range of motorcycles, Japanese outfit Yamaha is pondering to introduce a new member, expected to be called by the XSR300 moniker. If the surfaced rumors are to be believed, the MT-03 based upcoming will be the spiritual successor of the legendary RD350. 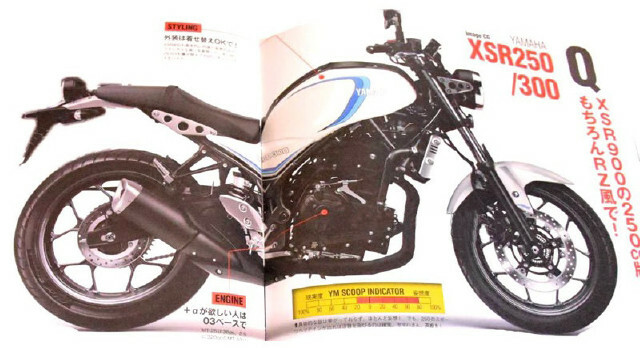 To make it evident to the audience, a Japanese media forum, Young Machine has rendered a speculated image of the XSR300, on the basis of trending reports and secret information from the closest source. Appeared to draw styling inspiration from the current XSR range and the original RD350, the motorcycle has been showcased in blue/white livery contrasting beautifully with the blacked out component of the motorcycle like the frame, engine, wheels and the exhaust system. Probably to construct on the same diamond chassis of the MT-03, the motorcycle is anticipated to be bolted with a 321cc parallel-twin powerplant. The said motor is able of generating 40.5bhp of power and delivering 29.6Nm of torque via a coupled six-speed gearbox transmission. Moreover, the global debut of the motorcycle is likely to take place at the 2017 EICMA Show in Italy as a 2018 year model. Currently, thinking about its Indian arrival is completely waste of time, as the surfaced image is self a digitally generated one. 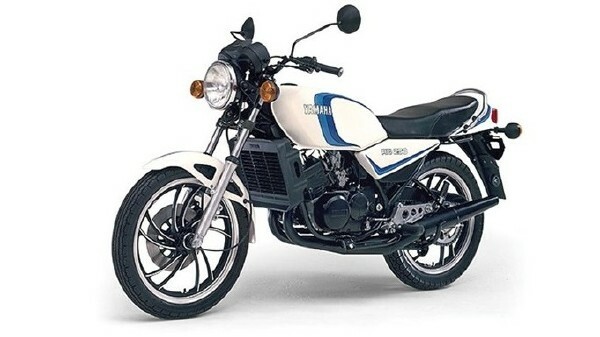 As we know, even now, the company is enjoying the cult status of the Yamaha RD350. So there are a lot of chances of the XSR300’s Indian emergence, till then just wait and watch and stay connected with us to know about the other products in the automobile industry.